Time reincarnation, all things recovery. Spring always symbolizes hope and new beginnings. In this wonderful season, the new fashion is also changing. 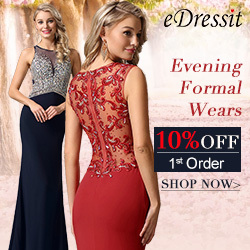 Maybe you have not noticed that those clothes you have loved can not meet your needs, you need to fill some new apparels, such as evening prom dresses, such as shoes and other things that meet your current temperament. Time waits for no men. 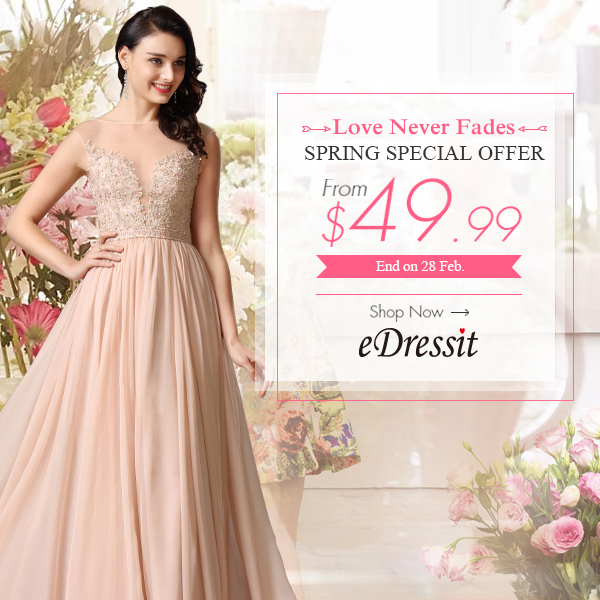 Now eDressit prepares some unique and affordable dresses to each of you. Let's take a look at the rules and conditions in the following. 1. From 16th Feb. 04:00 to 28th Feb. 24:00(Berlin Time),we have chosen so many adorable selections for you, you can find your favorite styles. 2. Sale items order should be paid in 24 hours after the promotion ends, or the syestem will cancel the order automatically. It is your time to think about what dresses in this year is needed. Believe that with them, this year's banquet will be the moments you have been looking forward to. Give yourself the chances to shine.